82 • ROCK products • November 2018 www.rockproducts.com www.TheInnotechSolutions.com 1-888-827-0011 X14 • ssawant@theinnotechsolutions.com Symons is a registered trademark of Metso Minerals Corp. Symons ™ Crushers Can Deliver Up to 20% More Safely 1. 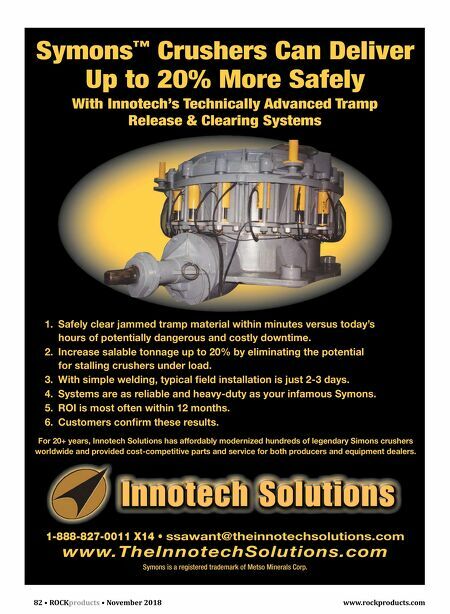 Safely clear jammed tramp material within minutes versus today's hours of potentially dangerous and costly downtime. 2. Increase salable tonnage up to 20% by eliminating the potential for stalling crushers under load. 3. With simple welding, typical field installation is just 2-3 days. 4. Systems are as reliable and heavy-duty as your infamous Symons. 5. ROI is most often within 12 months. 6. Customers confirm these results. 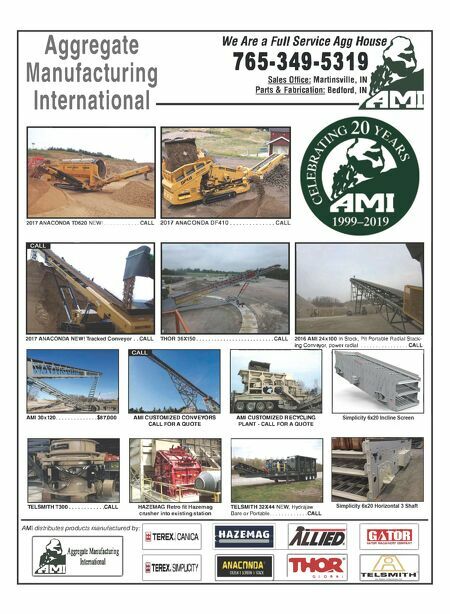 With Innotech's Technically Advanced Tramp Release & Clearing Systems For 20+ years, Innotech Solutions has affordably modernized hundreds of legendary Simons crushers worldwide and provided cost-competitive parts and service for both producers and equipment dealers.